It was a big weekend for ATTHD! On Friday night, co-owner LC Davis battled for three full rounds with Hideo Tokoro in the co-main event for Bellator 135 in Thackerville, Oklahoma. It was a close fight, but Davis was not taking home anything but the win! He defended several submission attempts and took a foot to the jaw but dominated the fight overall, landing lots of punches, elbows and takedowns. He won via split decision and maintained his undefeated record at bantamweight! We are so proud of you, LC! Take care of that jaw and rest up for the next one. 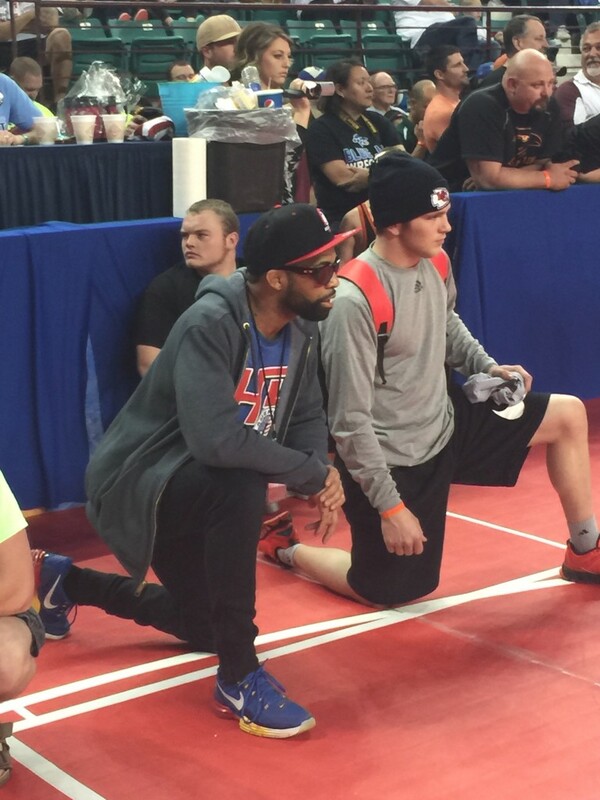 Davis then turned from MMA fighter into Coach and drove to Topeka to coach the ATTHD Wrestling Club athletes at the USA Wrestling Kansas State Championships. For most of our wrestlers, it was their first time at State. They made us proud, and we are excited to take them back again next season with experience under their belts!